Among the most successful action thrillers of recent times are the BOURNE films, starring Matt Damon as the eponymous amnesiac Jason Bourne in a hunt for answers about his own past. The series fundamentally changed the action-thriller genre in two major ways, for better or for worse; firstly, it popularized the hotly-debated shaky-cam style of cinematography that supposedly adds realism to action scenes. Secondly, and more significantly for film score listeners, its scores by JOHN POWELL soon became a reliable temp track staple for any modern chase scene, and with good reason. 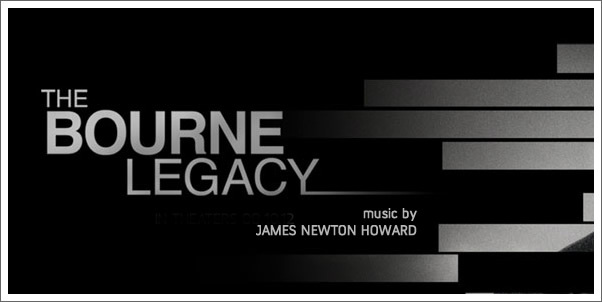 Though his first score, THE BOURNE IDENTITY, relied a bit too heavily on the electronics, the sequels (SUPREMACY and ULTIMATUM) impress with an extremely smart and appropriately modern blend of electronic loops with live percussion and relentlessly chopping string figures (known as ostinati in musical parlance), employed in remarkably well-structured action cues. SUPREMACY in particular is among the most influential scores of the modern age. Naturally, the success of the BOURNE films and scores led to a host of imitators, with even DAVID ARNOLD’s later two JAMES BOND scores straying closer to their grittier, more down-to-earth sound than the flamboyant electro-orchestral-jazz mixture he had concocted for his initial three outings. Among the more recent BOURNE soundalikes was JAMES NEWTON HOWARD’s score for the 2010 Angelina Jolie vehicle SALT, a decently enjoyable entry into the subgenre in which a couple of strong action cues and a catchy ostinato of its own managed to overcome the relative lack of originality. HOWARD was therefore a relatively predictable choice for the BOURNE series’ relatively predictable 2012 reboot (though it’s really more of a spinoff, starring Jeremy Renner as black ops agent Aaron Cross, who has to deal with the repercussions of Bourne’s actions in the previous franchise instalments).